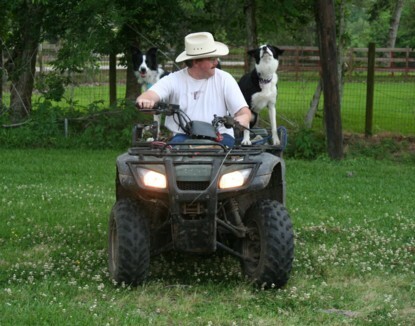 A 4 Wheeler is almost a necessity on a farm. 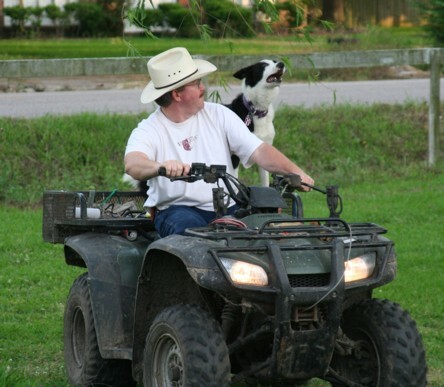 It's handy to have a dog that rides on the 4 Wheeler. 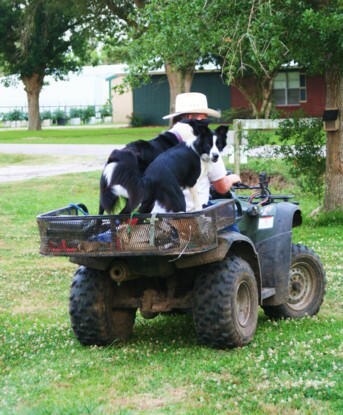 To his delight, Other Half discovered that his new Border Collie loved to ride on the 4 Wheeler. 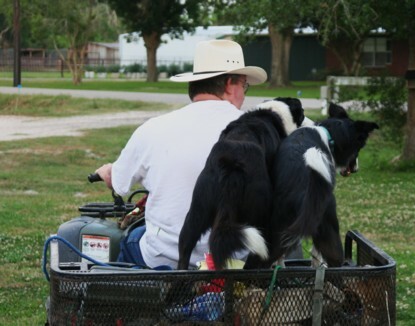 He loves it so much that we decided Thing 2 could teach Thing 1 how to enjoy riding on the 4 Wheeler. So we loaded her up and off they went! Like a kid, she turned around to make sure I was watching. "Yes, I'm still watching you." She decided that she liked riding the 4 Wheeler. 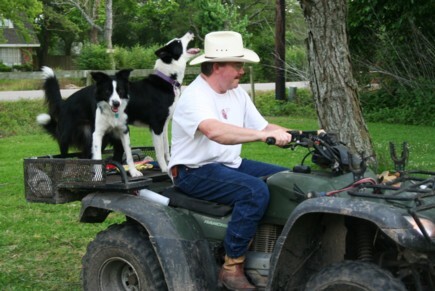 Perhaps not as much as her companion, who bounced and snapped his way around the yard, but she enjoyed riding . . . as long as I stood on the porch and watched her.